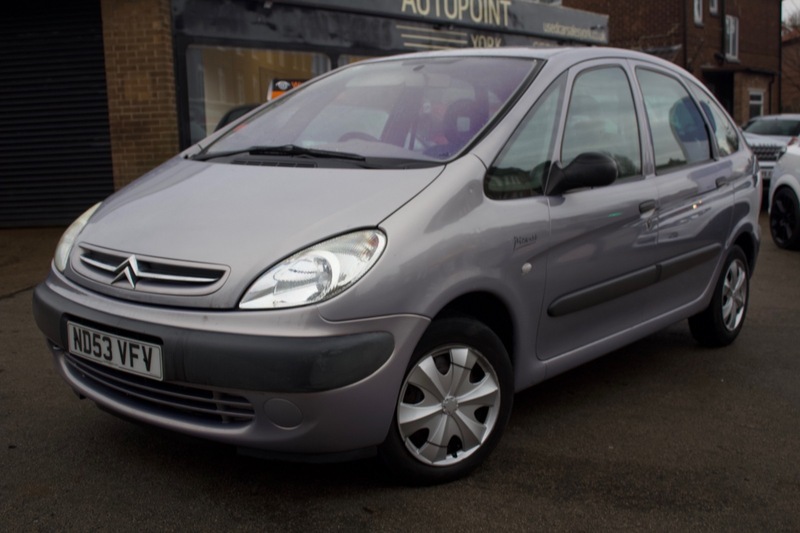 Here we have our Citroen Xsara Picasso. This car comes with, ABS, CD Player, Central Locking, Electric Windows, Power Assisted Steering, Body Coloured Bumpers, Cup Holders, Electric Mirrors, Engine Immobiliser, Front Airbags, ISOFix, Privacy Glass, Radio, Side Impact Airbags & Steering Wheel Controls. The car also comes with MOT, 12 months Service, Warranty, Free AA Cover for a year and Pre Delivery Inspection Report.